An intensely rich and creamy Stilton cheese, with a deep, lingering, complex flavour. 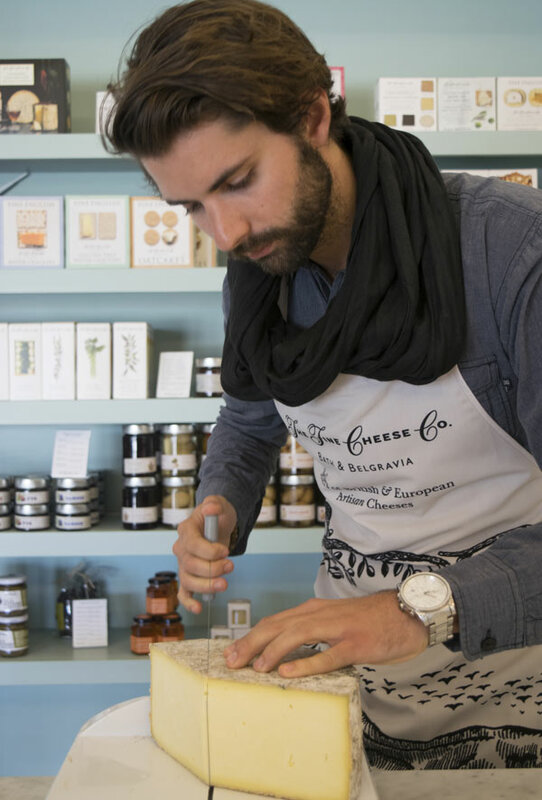 Colston Basset Stilton cheese is hand-made by Billy Kevan and his team in Nottinghamshire. It is one of the last remaining hand-ladled Stiltons. Hand-ladling produces an intensely rich and creamy cheese; and the Colston Bassett flavour is deep, lingering and complex. Local milk is left to set under the watchful eye of Billy Kevan, only the fourth head cheese-maker since 1920. The curd is gently cut into small cubes and left to settle. It is then drained and hand-ladled into curd trays. The next morning it is milled and packed into stilton hoops where it will drain naturally before being rubbed and put into the maturing rooms. After four to six weeks and again one week later, Colston Bassett Stilton is pierced to allow air to get in, so that the blue veins can develop. Stilton’s origins date back to the 18th century when it was eaten at The Bell Inn, Stilton. Now a protected cheese, Stilton can only be made in the counties of Nottinghamshire, Derbyshire and Leicestershire. Colston Bassett Stilton is often considered to be the best. Little has changed since they started making cheese in 1913, and they still use the milk from four of the original local farms that set up the co-operative in the beginning. The reputation of the dairy has gone from strength to strength, and it is now famous for making Stilton that is velvety and smooth, with a full, well-balanced, sweet and ‘mineral-y’ flavour. Half Moon - 1.35kg approx.